So our $10 Christmas is a fine idea and all, but after shipping? $60. And that's using $15 of coupons, too. Oh well. But in all seriousness, I'm thrilled about how the gifts have turned out and will reveal all after the holidays. I was thinking after handing over my debit card with a sigh, though, that one day I would so love to be able to pack the car full of prettily packaged gifts and simply drive over to Mimi and Jambo's for Christmas. (Mimi and Jambo are the names the first grandchild bestowed on my parents, so they now wear them proudly.) I say this with a huge amount of trepidation and fear of jinxing, but I can't contain it: we got a glimmer of hope yesterday that such a feat might one day be possible! Like, Christmas 2010 possible. A girl can dream, can't she? In honor of Project: Next Big Step shaping up nicely, I offer a Friday I'm in Love bonanza, a slew of items that amused me this week while waiting for the H-word to get back into town. We're doing an ittybitty Christmas for each other this year, by the way, in honor of what we most want wrapped under the proverbial tree: a big, shiny job. So there's lots of time to play around on the Web and hand-craft "$10" gifts. As you can see from my tweet last night, I had quite a bit of fun with "The Best Worst Sandra Lee Recipe Reviews." 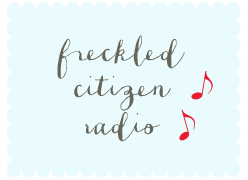 Seriously, you must check it out. It contains reviews such as "It was like there was a party in my mouth and everyone was throwing up" and "I must admit I would never have thought of serving fish with allspice and taco seasoning and salsa and cole slaw and peaches. But there’s a good reason for that: this is disgusting." So good! I love the Food Network Humor blog, by the way. If you're a food-tv cynic like me, go check them out. And don't even get me started on Sandra Lee, whom the always-crushworthy Anthony Bourdain terms the "frightening Hell Spawn of Kathie Lee and Betty Crocker." The woman even ruined Andrew Cuomo for me. So as you either already know or likely suspect, I am hopelessly old-school when it comes to paper. I read a paper newspaper every day. I love stationery and use snail mail. But most of all, I love books. I fear the day someone tries to gift me with a Kindle and my head explodes. At any rate, for you new-fangled folks who embrace technology but miss that smell of paper, even if your cold heartless hands prefer to hold electronics, this spray is for you! From Incredible Things. 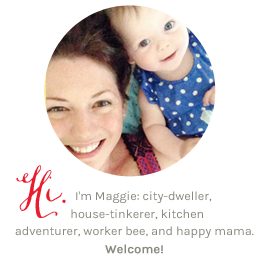 THIS is how you send out a photo card pre-adorable kids, folks. 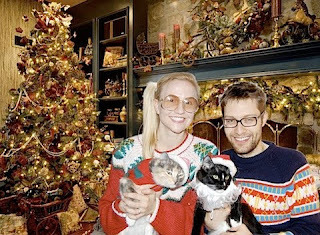 Blogger crush Anne Sage and her husband's fantastic tacky sweater/cat people parody is etched into my Not Taking Yourself Too Seriously Hall of Fame. Amazing! My favorite vegetable, all decorated for the holidays. Genius! 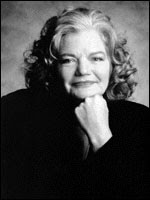 One of my all-time favorite women, the late, great Molly Ivins, is being brought back to us in the form of Kathleen Turner, who's channeling Ivins in a one-woman show in Philadelphia this spring. My love for Molly runs deep and blue, and I'd see this show in a heartbeat. Philadelphia is a town that makes our household smile: T was born there and I spent a summer there as a teenager studying at Penn, meeting lifelong friends and getting into all sorts of trouble. I think a trip is in order in a few months, when all these Next Big Thing details are ironed out. Sending you love, Molly, as always. One week 'till lounging in pajamas with the fam all day, woo hoo! 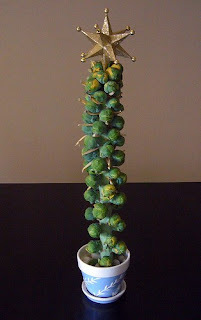 and as for that 'tree' of brussels sprouts, i have to say that the veggie has held a special place in my heart since I designed a mock ad campaign for them in an advertising class years ago...and this tree looks made for such a thing! Love every single thing about this Friday. I am so impressed with you zen outlook on project big step. I too hate Sandra Lee, as well as Rachael Ray, Giada, and everyone else besides Ina Garten. 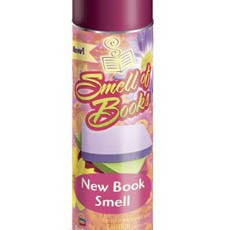 Have you personally experienced Smell of New Books? I'm intrigued. please tell me then that you hate the kindle? B said that if someone got him that for a gift he would punch them in the face.